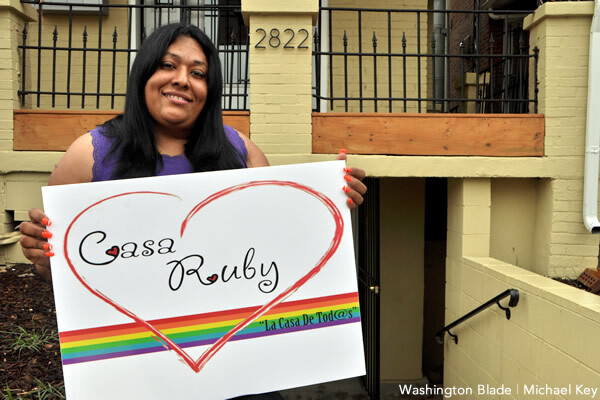 Casa Ruby, a bilingual multicultural LGBT organization, holds an awards ceremony at Pepco Edison Place Gallery (702 8th St., N.W.) Tuesday from 6:30-9:30 p.m.
Mayor Vincent Gray, Councilmember Jim Graham and Democrat for Maryland Senate Dana Beyer will speak. Awards will honor those individuals and organizations who have contributed notable services to the Latino LGBT community. Tickets are $50 to be a part of the host committee and $30 for general admission. For more details, visit casaruby.org.